A pre-Christmas cruise is an ideal opportunity to escape the consumer gluttony that dominates television in the run-up to one of the most significant days in the Christian calendar. It can also be a seasonal tonic if you head to the sun while Britain shivers and days grow ever-shorter. A few years ago, I was at sea for a festive cruise and enjoyed the detachment from seasonal mores and winter chills. However, such liberation coincides with a time when the world and his neighbour are crowding airports and clogging motorways; a time of comfort and joy it certainly is not. Last December, flight delays due to fog and endless queues for security screening were banished to the deep as I embarked Fred. Olsen Cruise Lines’ delightful ship Boudicca in Southampton. My voyage with this Brit-friendly cruise line was part of the Autumn Music Festival series of sailings, which features a variety of themes, including jazz and Dixieland jazz; salsa and music from the 50s & 60s; as well as popular and opera classics. Adding a bit of coloratura to my 14-night ‘Fortunate Isles’ cruise were Tenorissimo – three melodious tenors who hit all the right notes in the duet from Bizet’s Pearl Fishers, I Pagliacci by Leoncavallo, and Puccini’s Nessun Dorma. Exploring the ship, it was lyrics of the Welsh carol: “Deck the Halls with boughs of holly, ’tis the season to be jolly” that rang true as I ambled past the festive trees and attractive decorations adorning the lounges and restaurants of this 28,388-ton ship. Crossing the Bay of Biscay, the poignant last verse: “Sing we joyous all together, heedless of the wind and weather” lost its ring as heavy seas temporarily dampened any festive cheer for all but hardy old salts. But Silent Nights were restored as we headed for the Canary Islands and the ship’s action-packed programme swung into action. A version of ‘Can’t Cook, Won’t Cook’ was hosted by Executive Chef Dirk Helsig; Retired Captain William Wells presented his lecture ‘Admiral Lord Nelson – the Man behind the Portraits’; and a Grand Tea Dance attracted one and all. For me, one of the highlights of these sea days was a recital of works by Chopin by the accomplished virtuoso pianist Julian Jacobson. Life had resumed its seaborne norm and merry gentlemen were rested. Boudicca is one of five ships in the Fred. Olsen fleet. Whilst similar in appearance and pedigree to Black Watch, she has a personality that is truly her own. Nowhere is this more evident than in the array of eclectic works of art throughout the vessel, many selected from the private collection of the line’s patriarch, Fred. Olsen Snr. One of the main differences between the line’s two sister ships is there are two formal dining rooms aboard Boudicca instead of the one on Black Watch. The voguish Four Seasons Restaurant is a refined room with a pastiche of ash-bronze drapes that tone with the bamboo shades picked out in the chairs and bronze and cream carpet. The vibrant Tintagel Restaurant boasts a melange of cerise hues set against burgundy drapes with a contrasting taupe and magenta carpet. There is also the smaller Heligan Room, which exudes a soigné feel with its gentle ash wood and gold fabrics set against a green and russet-gold carpet. Between the Four Seasons and Tintagel Restaurants there’s a well-designed circular buffet. This makes for easier self-service options at breakfast and lunch. Wines, selected by Conal Gregory MW, are well-priced with a bottle of Moet & Chandon at £26.75; a respectably Pouilly Fume is a snip at £15.75; and a Chilean Casa Silva Angostura Merlot great value at £13.50. A glass of Graham’s Late Bottled Vintage Port accompanies the excellent cheeses for just £2.20. When it comes to that most sublime cruise pastime of dining, the British palate takes precedence. Menus never conform to the modern taboo of over-imagination and five-course a la carte dinners are manicured affairs that allow the executive chefs to demonstrate their culinary prowess. However, I felt that the quality of some meats was not as high as a previous voyage aboard Black Watch. In the informal Secret Garden Cafe, a wood and ivory-theme is complemented by specially-commissioned murals. With Oriental touches, this centrally-located room exudes a Zen-like aura that many top-notch London restaurants try to emulate. With panoramic views, this ‘al fresco’ room brings a refreshing ambience to leisurely breakfasts and lunches, as well as Indian, Thai and Indonesian-themed buffet dinners. Unlike many other cruise companies, there is no supplement for this alternative dining room. The Secret Garden Lounge is the epicentre of life on board. This subtly-decorated room is a hive of activity throughout the day. With views to both port and starboard, passengers relax in extremely comfortable chairs before or after dining in the adjacent restaurants. With Paul Silver tinkling the ivories prior to dinner, guests at the centrally-located Neptune Bar can enjoy a glass of Pinot Grigio for £3 or a Cote du Rhone at £2.80. The Iceni Lounge is a quiet, dignified retreat for smokers who can indulge their habit seated in overly-large brown leather chairs. Probably the most serene room on board is the Observatory above the Bridge. With a restful blue-and-gold palette, this aerie is an oasis of tranquillity. Pianist Barbara Szkudlarek enhanced the ambiance during cocktail hour as well as after dinner, where a glass of 16 year-old Highland Park single malt is a delicious £2.50. By day, there are few rooms more inviting for catching up with a favourite author’s latest best-seller, or simply gazing at the unbroken line of the horizon. In the Card Room, passengers can enjoy instruction from qualified English Bridge Union instructors who give lessons, organise tournaments and arrange social games; there are also competitive sessions and points play each afternoon on days at sea. Like all Fred. Olsen ships, breakfast is open seating, as is lunch on port days, while, on sea days, there are two sittings, at noon and 1.15pm. The first seating for dinner is 6.30pm, the second at 8.30pm. Late night snacks are offered in the Secret Garden from 11pm until midnight. During my cruise there were three formal nights, four informal and four casual nights, plus a Western night, a Tropical night and a British night. The well-stocked Library has armchairs facing out to sea as well as an attractive semi-circular bookcase. There is also a small casino with one blackjack and one roulette table. The Internet Room has six PC workstations for sending emails or surfing the web, although at £10 for 40 minutes it’s not cheap. Passengers with mobile phones can keep in touch with home whether they’re in port or at sea thanks to new GSM and SMS technology that routes calls through the ship’s satellite connection at international roaming rates. With good sightlines, the Neptune Lounge offers passengers unimpeded views of the lavishly-costumed revues of West End musical favourites, as well as guest stars from the small screen and big stage. Special ‘Theme Nights’ – such as British Night; 60s and 70s Night; Black and White Ball; Ladies Night and Tropical Night – bring their own magic, none more so than the Crew Show. During my cruise, a Manchester United versus Liverpool match was screened live in the Lido Lounge. The large armchairs and tables arrayed around the dance floor, which looks out onto the pool one deck below, were filled with partisan supporters enjoying pints of Stella and Boddingtons as well as Beefeater and tonics all at £2.35. There is plenty of open deck space and, when we were bathed in sunshine during our time in the Canary Islands and Madeira, deck-chairs were never at a premium. There is a very large pool aft on Deck Six with two Jacuzzis and an exercise pool; there is also a circular pool aft of the Marquee Grill. This convenient spot for an alfresco lunch offers soup of the day, steak sandwiches, and fish and chips. A feature of Fred. Olsen cruises to the Canaries is the bonus of late sailings from both Las Palmas and Tenerife. This allows cruise director Allan Tait to stage late-night parties on deck. During my cruise, there was also a paella simmering on the grill beside the pool – making a perfect midnight buffet. There is a Salon and Spa which offers a 50-minute full body massage or a 75-minute Hydradermie facial for £50. Ladies can have a shampoo and set for £20 or a manicure for £25. There is also a large Fitness Centre where Sven Nikolov offers personal training sessions for £20 per hour. The 45-minute Pilates classes costs £5; a series of four Yoga classes is £15; and a body health check is £19. There are also separate male and female saunas. The golf driving nets on Deck Ten are ideal for those on the Flagship Gold programme to get some instruction from PGA golf professional Ian Ellis. On the ship’s Main Deck, there’s a photo gallery as well as a tax and duty free shop with goods delivered to a passenger’s cabin on the last day; a litre of Bells or Gordons is £12, while 200 Benson and Hedges are £25. A boutique sells fashions, jewellery and perfumes and there is also a shop for essential items such as paperbacks, sunscreen and logo T-shirts. A self-service laundrette with six washing machines and tumble dryers is also located on this deck. Excursions were popular and mostly took place in the morning. A tour to the Pyramids of Güímar, Pico del Teide and Las Canadas National Park cost £20, while an afternoon visit to Eira do Serrado on Madeira, plus tea at the Villa Cipriani in the famous Reid’s Palace Hotel, cost £35. 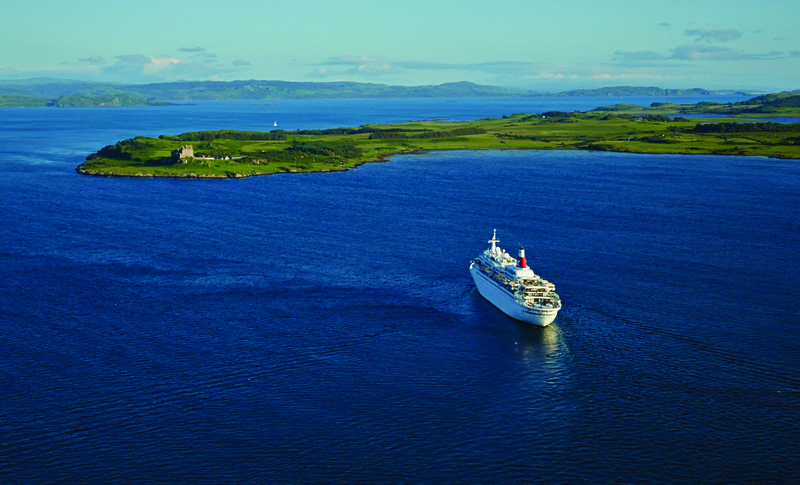 The 437 cabins were all rejuvenated prior to Boudicca joining the Fred. Olsen fleet in 2006. In some cases, they have been completely rebuilt, while others still reflect their pedigree. However, the designers have ensured the company’s tradition of small-ship intimacy without compromising on personal space has been maintained. There are a range of suites and superior cabins, as well as standard inside and outside cabins. Most outside cabins feature large picture windows, while the Premier, Marquee, Superior and delightful Balcony Suites enjoy the indulgence of spacious verandas. Higher-grade cabins have fridges, with those in the suites being stocked. Room service is available until 11pm. I enjoyed a prompt continental breakfast one morning and a hearty roast beef sandwich when I returned after a long walk in Tenerife. An outstanding facet of my cruise was the personable and long-serving Filipino, Indonesian and Indian crew, many of whom welcomed repeat passengers with a ‘home-away-from-home’ camaraderie. Without doubt, it is this fusion of agreeable, like-minded companions, rather than a floating Babel of disparate tongues and incongruous gimmicks, that is the Fred. Olsen distinction. Returning home in plenty of time to stuff the turkey, I sported my tan with a large helping of schadenfreude as I joined the stampede in Sainsbury’s who appeared to lack goodwill to any man. Preparing to watch the umpteenth repeat of the Great Escape on television, I reflected on my own escape to the sun. Itineraries: Spring, Mediterranean and Atlantic isles; Summer, Northern Europe; Autumn, Mediterranean, N Europe, Caribbean and Atlantic isles; Winter, Caribbean and South America.